Greetings Masters ! 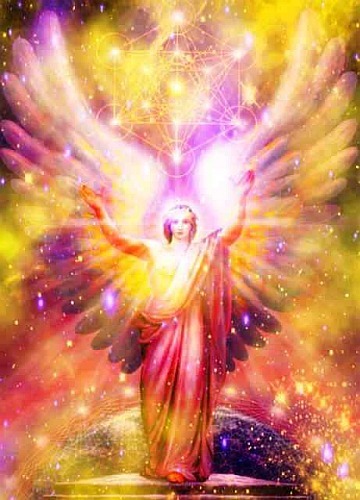 I am Metatron, Lord of Light, and I greet you in an vector of Love, Unconditional Love! And so it is a powerful time, and there is much movement on the planet in this month of the September Equinox within 2012. We tell you the energy of this Equinox has brought specific astrological conditions that allow for a deep review of whom you are, and where you are going. The profound aperture provided by the planetary and stellar conjunctions paired within the period of the Equinox began 5 days before the actual Equinox and will extend for 5 days, through September 27th. It is a time to consider relationships, purpose and mental contents. This is to be considered on an individual level, and also applied to the mass consciousness, group events occurring on your planet. Many of you may not be fully aware of the expansive reach of your relationships in mass. Each of you has ties to group events and group energies that play key roles in your choices of reincarnation. You often have such ties to groupings that entire 'Nations' and Epochs reincarnate together. This is logical, as it is the interactive relationships you have with others that are one of your greatest springboards of growth. Therefore there is a natural magnetism to the people you have spent time with in other epochs. It has been said that there are only six degrees, six levels of separation between every soul incarnate on the planet at any given time. In other words, each of you knows someone, that knows another and so on, such that taken to six threads of networking encompasses connections to everyone on the planet. The point being, you are all connected far more intricately than you may realize. Dear One, each human, each and every one of you on the planet co-creates the mass experience of the Earth. Every thought you have absolutely influences the manifest physical reality of civilization as it exists in your time frame. Your individual thoughts combine and blend with the projected thoughts and beliefs of all others on the planet to form a massive group thought form that manifests into the reality you experience. This also occurs on the level of the individual family, nation and time epoch you are in. And accordingly is the glue that brings back entire worlds within time & space, to reincarnate together. This 'connective interactive force' allows you to continue the unified progress in achieving the harmonic goals each of you are born to accomplish individually and in mass together. Warring groups in fact reincarnate in masse in order to try again to resolve their differences. The emotional energy involved in such massive conflicts is enormous, and is repeated until resolution and harmony is found. We will tell you that your current conflicts in the Middle East are a re-occurrence of the Crusades, and your World WarII a continuance of the Atlantean conflict between the Aryan and Poseidon groups. In duality opposites occur, and you will end war only when you realize the destruction of hatred. You will end war only when you focus on peace and consciously choose it. You will not end war by hating war, rather by loving peace, loving harmony. In the realm of duality, massive group dynamics (and in individual) are chosen for lesson, but not in the traditional sense of what you terms 'karma'. Rather it is a balancing that is the driving force, not repayment of a 'debt'. That is important to understand. In your terms karma is always balancing within the self, chosen by the higher self...it is not a debt owed to another. Accordingly balance can be achieved in achieving a deep mental understanding of what error has taken place, as well as through action. And while in most cases, action is chosen, especially for 'Group Karma', it can be equally b balanced in mental comprehensive and the deep desire to move into harmony. Do you understand? Each of you participate in the Global Dramas, each of you contribute on some way to what happens on the planet. You provide the 'thought energy' from vast mental projection through which physical events are formed. But be aware that individual responsibility is the true factor. Although you may be part of a group, and be drawn into the mass reality created, you will are spiritually responsible on the individual basis. If you disagree for example with a war your nation is involved in, and you refuse to support it by loving peace, those actions help move the group to a higher level. You must always then be your judge, and seek sovereignty. Your thoughts, feelings, and expectations are like the living brush strokes with which you paint your corner of life'slandscape. If you do your best in your own life, then you are indeed helping to improve the quality of all life. Your thoughts are as real as any physical object you can see and touch....and they do make a difference. Ascension, enlightenment occurs one heart at a time, even if the physical reality seems to be caught in lower frequency. Remember developing strength is part of creatorship. As we have told you: When the love of power is replaced by the power of love, mankind will make a quantum leap. But understand love without strength is incomplete. Consider this complexity carefully. It is perhaps a seeming paradox, but in its wise and careful contemplation is offered a great Truth. Now, we will speak on the topic of negativity. But perhaps better descriptions for the polarity electric aspects of energies within duality that are termed positive and negative, are creative and destructive. Love is the ultimate creative force, hate/fear are the ultimate destructive degenerative forces. In terms of the Auric field, hate and fear are the primary disruptive forces that create Auric imbalance. Dear Ones, it is absolutely true that there is no human who hates but that hatred is reflected outward and made physical, and there is no human who loves but that love is reflected outward and made physical. You are conscious creatures, and what you focus on is energetically attracted to you. Therefore it is essential as you advance in wisdom to become the monitors & responsible guardians of your thoughts. You must be constantly aware of the contents of your conscious mind. The self awareness of recognizing the nature of your 'mental contents' is an essential aspect of becoming a fully conscious Spiritual Being. And indeed, the full content of your mental thoughts and beliefs are quite accessible to everyone. It is all available. Your beliefs are not buried unless you believe that they are. The thoughts and feelings and emotions that guide you day to day are not locked away in a remote recess of your mind. Indeed they are readily reviewable if you are willing simply to look. It is all available and it is there for you to see and consider. Consideration should lead to reconsideration, by reviewing what is constrictive and what is destructive. Dear Ones take time to calibrate your thoughts, beliefs and actions. It is not a difficult action. The 'evil-bogeyman' that you may feel sets on one shoulder and influences you into wrong action, is simply incorrect belief. Right actions are what you are here to discover, and obstructions(incorrect beliefs) are to be recognized and rectified. rectify. Negative obstructional beliefs are really not hidden from you so remotely locked away in the sub-conscious that they cannot be discovered. Therapy is a valid helper in some cases, but it is beyond the financial realm of many of you. And so we tell you that the determined human is absolutely able to find the answers within. Your obstructions are not so deeply buried in your childhood or in any other lifetime that you cannot find them. You are not bound into compromising scenarios by past experiences, promises given or commitments that seem to tie you into untoward behavior. Relationships will come and go in your sojourns. And the complexities and intricacies are complex. Often the drama of a relationship ending is the springboard of a vast renewal although it may not feel so at the time of the emotional hurt and seeming trauma. Yet this is in truth a scope and lens into the self. In a true sense hate is the other side of love, the opposite end of the same spectrum in terms of the emotional aspect. There are so many lessons that are afforded when duality relationships end. In relationships that are ended by one and pursued by the other, there is often a sense of betrayal that results in an emotionally charged chasing of rejection that initially occurs. This then may convert to anger of seeming rejection and can spiral downward into attack and hatred. In time you will learn that all negative energy emitted comes back to the source of the projection. It is not a case of who was right and who was wrong, rather of what energy was projected. As long as you carry hurt, anger and hatred, these energies will shatter your auric field, taint your world and poison your emotional stability. As long as you focus or dwell on hurt, anger and hate, you will absolutely draw to you more of the same. Period, no exceptions... It is simply the Law of Attraction. Yet some of you become immersed in such destructive negativity for years and even lifetimes, before you learn that it is the energy of destructive emotion (hate, fear, anger & hurt) , that is the culprit. The hurt that is often felt when relationships end, will in fact, in the higher aspect lead you to the Truth of your own sovereignty. Relationships are a method of reflecting the affectivity of your belief system, and giving you feedback on what, simply stated, is working, and what is not. The completion of a relationship equally offers growth. Even if it ends harshly, as many do, there is a flurry of emotion that can lead to understanding through the very detachment that one of the partners perhaps did not consciously desire. Detachment requires the individual to explore the self, to reacquaint with the inner horizon, and this facilitates and necessitates sovereignty. Sovereignty is the prepotency of Mastership. A relationship of two sovereign nondependent humans has greater balance, greater creativity, and greater longevity than a pairing of two beings co-dependent on one another. Do you understand? One way relationships, pairings on any level, in which one seeks the pairing more than the other, or one seeks to control the other, can never last. It is no error that great numbers of you on the finals steps of the path of enlightenment are alone in this period. Now is the prelude to the coming Ascension. If you are among these, we tell you that perhaps your solitude is appropriate. Perhaps it is as it should be. You see it is how many of you planned it. Ultimately each soul must clearly define SELF in order to gain Mastery. Self Mastery is embodied in periods of planned detachment. It is that period in which impeccability is crystallized. And we tell you Dear Ones, crystallization; through impeccability is a necessary phase of Self- Mastery. It is a calibration juncture in the multidimensional sojourn. One enters the void, the great mystery in the quest for fortitude and sovereign vision, alone, without a shoulder to lean on. And in the process, one discovers sublime wholeness and self completion. Do not misunderstand our meaning; there is great validity in coupling, in the natural aspect of soul mate. But conclusively one walks the path of Mastery in sovereign detachment. One becomes enlightened when one learns to transcend the physical self. Each of you must endeavor to the final conquest of what we term as 'impeccability'. Impeccability is the crystallization or uniform clarity of the soul, and it is a necessary virtue of Mastery. This involves release of dependency, the release of all that does not serve your divinity. It is a rebooting and reprogramming of all you are. There are certain specific set ups that may be chosen in duality, in which souls are in apparent opposition for a greater purpose. It may occur for example, that advanced souls are in a state of 'purposed competition' in order to drive or motivate one another toward goal achievement. Certain of your well known scientist have incarnated in pairs in which the edge between them drove one another to greater effort. There are also cases in which political leaders took advanced stands to drive a common goal. An example of this is Dr Martin Luther King and Malcolm X, who advocated polar opposite means to promote the civil rights of minorities. One advocated non-violence, the other aggressive means. Yet the two had a common goal. In truth the one who advocated aggressive actions, actually brought the masses to the methodology of the one who taught non-violence by displaying the two choices. There are cases in which Spiritual leaders are in opposition. Particularly when one may delve into ego and power seeking. Such opposition in higher aspect creates reconsideration on both sides. There are many who profess spiritual leadership merely to gain following. There are scenarios in which turning the other cheek is inappropriate. One does not apologize when another steps on their foot. It is wrong to attempt to control the will of another, and equally wrong to allow another to control you. Free will and discernment must be with the individual. You need no guru other than self. The idea that Spiritual seekers must wear rose colored glasses is not necessarily the best path in certain situations. No one is served when injustice is tolerated. No one is served by allowing charlatans to continue unabated. We are not speaking of violence, that is not the right path, but rather standing in ones Truth. Being nonjudgmental is also confusing. Burying ones head in the sand does not work. Discernment of what is your right path does involve judgment. Some religious texts include fear-based distortions and false actions that can lead to great conflict & destruction. The texts themselves teach people that total 'blind' acceptance of even flawed doctrine and dogma is required as a tenet of faith. Understanding these nuances is one of your greatest challenges. Learning how to deal with violence has been an unresolved issue in the Group Consciousness of many civilizations. Dear Ones, you are not and should not be bound by false beliefs. You are now and always free conscious beings. And discernment is requisite. Masters, each of you were born with a powerful awareness, recognition of your own Divinity and wholesome goodness. Dear Human, we assure each of you that you have an innate inner recognition of your integrity and knowledge of your true and righteous place in the Cosmos. This cannot be taken from you, unless you allow it to be. So always know that you were born with a desire to fulfill your purpose in each lifetime, to achieve your goals and maximize your talents and abilities. Those are tenets and principles of what may be termed 'Inherent Law'. You are born compassionate and loving. It is absolutely your benevolent nature as Spiritual beings, having a human experience to be curious about yourself and your world. You are here to unravel the mysteries of life, to find purpose and meaning. These are attributes of your integral sovereignty and equally belong to 'Inherent Law'. Every soul that chooses physical life enters the Earthplane with an absolute knowing that every human possesses a beautifully unique, intimate sense of being that is succinctly itself. And that it is appropriate to discover fulfillment on both an individual basis (first) and in so doing contribute by example to the fulfillment of the group. You are born seeking the actualization of the ideal of love, in its great and wonderful complexities. We encourage each of you to add value to the quality of your life, to add your own talents, experiences and abilities to enrich life in a path and method that only you can individually contribute to the Cosmos. In so doing you will attain a state of being that is uniquely yours, while adding immensely to the value and fulfillment of the world itself. You see the energy of a creative positive soul, brightens not only your Earth, but the 'All that Is' in is symphony of Harmony through all spheres of Reality. We understanding the difficulties you face in achieving your goals, in Mastering the University of Earth. But do know there is indeed great purpose in all that you do here. Never forget it is a purposed dream that you are dreaming. The lessons, the myriad training received in Mastering 'University Earth Duality' will serve you for existence in a variety of other realms, of myriad interrelated systems of reality. And reality is the key phrase, for it is a dream, but very very real. And it is not easy; nothing of value is easily achieved. But understand that if the pains, hardships and agonies within your 'University of Earth' were not truly experienced as real, the lesson would not be learned, the growth could not occur. And we tell you the joys and sublime passions experienced here are also very real. Masters in your 'hidden' realities, in the vast validity of your multidimensional selves, humanity in plurality dreams the same dream at once, and you create all you see around you. The 'purposed illusion' is a meaningful drama. It is from higher aspect an educational creation, a movie set if you will, in which you are producing, directing and acting on different levels of consciousness. You in higher self are the producer and director, in physicality you are the actor, taking silent intuitive direction from the higher self. You are acting so completely on the 'set' of linear time and space that you do not know it is a drama. But understand, Dear Ones, that the drama and the intricate process of its enactment truly have great and profound meaning, and the actions within each scene, each lifetime, are vitally significant. The whole self is the observer and the physical incarnation is the totally focused actor in the roles. Each role has a meaning and offers a lesson. The lesson is that of creatorship, of creating joy and harmony and gaining true wisdom in the process. In this way, through your sojourns you will learn how to be joyful conscious beings. And when this major step is achieved ( and each of you will in time get there) you will not be afraid of the inner self, and you will freely experience life on the Omni Earth in all its frequencies with a knowingness of your secure in your position in the Cosmos. You will know through experience that positive desire for creativity and love over destruction and hatred is a quantum leap. When this is learned, the cycle is near completion and New Worlds await you in Mastery. I am Metatron, and I share with you these Truths. You are Beloved....and we honor you, each of you.